There’s been some great things to come out of Google’s I/O this week. If you haven’t had a chance to keep up with some of the announcements, head over to the Google Events page at events.google.com/io/ and check them out. One of the main ‘end user’ introductions was the upcoming changes to the design of some of Google’s G-Suite software. The first item released with the new design is Gmail and if you’re on a free Google account (ie: Not a paid G-Suite subscription) you should be able to start using it now. 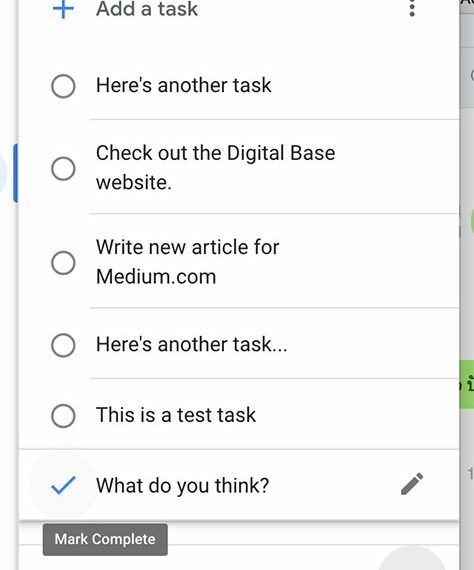 If you are on a free version of Google's G-Suite, start using the new design now by left clicking on the settings cog on the right hand side of your default gmail page and click on 'Try the new gmail' item in the menu. Like all Google designs, the new layout and iconography is primarily white, sparse, clean and minimalistic. The new font looks neat and legible and appears very clean and usable on my Macbook. I'm not sure how this will carry across to the various official phone apps, though we can expect it will appear equally clear on modern smart devices too. One of the biggest visual changes is the inclusion of a rather large 'compose' icon button in place of the 'flat' design. Originally I thought it was a big comical and unnecessarily large though I quickly discovered that clicking on the hamburger icon (3x small horizontal lines) forces the compose button and label list to shrink down into an icon only list view. This is a great addition, instantly freeing up more desk realestate. One of the nicest additions, from my opinion, is the introduction of smaller applications 'sidebar' tools. There's always been some 'lab' items and some 3rd party software that takes advantage of the sidebar but it now looks like Google is going to make it part of their flagship software. By default it appears Google has included mini sidebar apps for Calendar, Keep and Tasks. A quick glance at the Google Marketplace (click on the plus sign under the sidebar icons) shows there's already support for a large range of other tools too; including Trello, Asana, Wrike and Insightly. I'm sure it won't be long until there is support for all manner of platforms. It's been quite a while since Google released their last major overhaul to their mail software and this recent change looks like it's brought the platform a much needed visual update. I think the addition of mini apps for the right hand sidebar will also help with end user productivity; reducing the need to tab-jump between tools. With the expected inclusion of other products to this library it might really set itself up against the competition. It looks like there's already news to release similar visual changes to the Google Drive platform. I would assume it won't be long until we get similar updated rolled out across the entire G-Suite range of tools and applications. Here at Digital Base we use the subscription version of G-Suite so aren't able to take advantage of the new design yet. I'm hoping they roll it out soon so we can have a bit of a more professional play with it. It'll be interesting to see how well it flows across the various tools and applications. Have you upgraded yet? What do you think?